Ammon Bundy, the leader of the armed group occupying a federal wildlife refuge near Burns, Oregon, and seven others have been arrested by law enforcement amid gunfire, according to the FBI. At 4:25pm local time on Tuesday afternoon, the FBI and Oregon State Police “began an enforcement action to bring into custody a number of individuals associated with the armed occupation of the Malheur National Wildlife Refuge. During that arrest, there were shots fired," the Bureau said in a statement. One person suffered non-life threatening injuries and was taken to a local hospital for treatment. He was arrested and is in custody. Later local press said that the deceased was identified as Arizona rancher LaVoy Finicum, the de facto spokesman for the militia group. 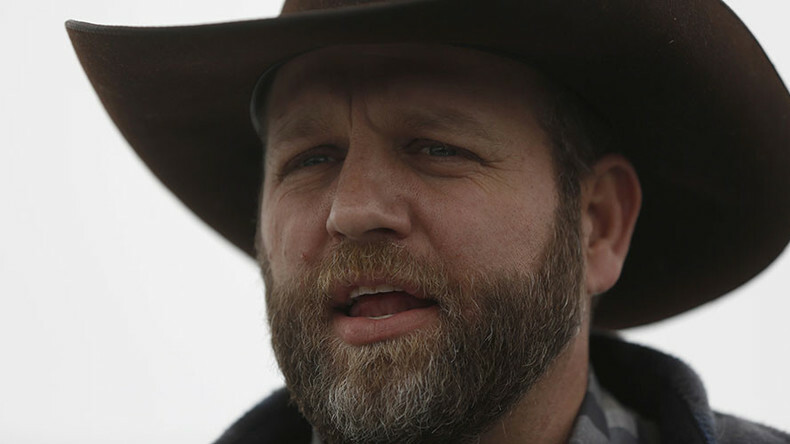 Koin 6 news reported that Ryan Bundy was injured, but expected to survive. Oregon Live has reported that “self-styled journalist” Pete Santilli said the FBI has told the protesters at the refuge to leave immediately. However, investigative reporter Les Zaitz, who was reportedly at the refuge, cited a protester as stating that there is no police presence there. At the refuge, no indication of trouble. One militant discounted report of arrests, said no one is leaving, no police there. Images posted on social media purport to show a Bundy militia supporter being arrested by law enforcement. However, the FBI confirmed that this arrest took place separately from the one involving Bundy. According to OPB News, Bundy and other protesters were scheduled to meet at the John Day Senior Center in neighboring Grant County, but Bundy never appeared. Highways near Burns have been shut down by the Oregon Department of Transportation and the Harney District Hospital in Burns is also on lockdown, OPB stated. Bundy and his militia group have been occupying the refuge for weeks now. The group is protesting federal ownership of wide swathes of land in the West and wants to see control of it returned to local and state jurisdiction. As the standoff enters its 26th day, RT crew took an exclusive look at the interior of the occupied refuge. Local woman showed food supplies, all of them were donations.